Reifen und Felgen. Fahrzeugmodell: Ford C-Max II DXA/CEU seit 2010. CM5G-9424-FA, BV61-9F479-AA. Ford C-Max II DXA/CEU seit 2010. Fahrzeugklasse: Van 5 Türer. gebrauchte Autoteile. Faceliftmodell: Ja seit 2015. Colector de admisión Ford II Focus III Grand C-Max 2,0 TDCI UFDB 964394480. intake manifold Ford C-Max III Grand 2,0 TDCI UFDB 964394480 EN158771. Collecteur d'admission Ford C-Max III Grand 2,0 TDCI UFDB 964394480 FR158771. Intake manifold Ford C-Max II Focus III 1,0 EcoBoost M1DA M2DC CM5G-9424-FA. Colector de admisión Ford II Focus III 1,0 EcoBoost M1DA M2DC CM5G-9424-FA. Collecteur d'admission Ford C-Max III 1,0 EcoBoost M1DA M2DC CM5G-9424-FA. Intake manifold Ford C-Max II Focus III Grand C-Max 1,0 Benzin M2DA 1047092S01. Colector de admisión Ford II Focus III Grand C-Max 1,0 Benzin M2DA 1047092S01. Collecteur d'admission Ford C-Max III Grand 1,0 Benzin M2DA 1047092S01. Baureihe ab 02/2012. intake manifold Ford C-Max II Focus III Grand C-Max 1,0 Benzin M2DA CM5G-9424-EE. Colector de admisión Ford Focus III Grand C-Max 1,0 Benzin M2DA CM5G-9424-EE. Collettore aspirazione Ford C-Max III Grand 1,0 Benzin M2DA CM5G-9424-EE. Colector de admisión Ford C-Max Focus II 1,0 EcoBoost M1DA CM5G-9424-ED. intake manifold Ford Grand II 1,0 EcoBoost M1DA CM5G-9424-ED EN276495. Collecteur d'admission Ford Grand II 1,0 EcoBoost M1DA CM5G-9424-ED FR276495. Baureihe ab 02/2012. intake manifold Ford C-Max Grand 1,0 Benzin EcoBoost M2DA CM5G-9424-E EN241438. Colector de admisión Ford Grand C-Max 1,0 Benzin EcoBoost M2DA CM5G-9424-E. Collettore aspirazione Ford C-Max 1,0 Benzin EcoBoost M2DA CM5G-9424-E IT241438. Colector de admisión Ford Focus III C-Max II 1,0 EcoBoost M1DA CM5G-9424-ED. intake manifold Ford Grand II 1,0 EcoBoost M1DA CM5G-9424-ED EN291054. Collecteur d'admission Ford Grand II 1,0 EcoBoost M1DA CM5G-9424-ED FR291054. Colector de admisión Ford Focus III C-Max II 1,0 EcoBoost M1DA CM5G-9424-EE. intake manifold Ford Grand II 1,0 EcoBoost M1DA CM5G-9424-EE EN291629. Collecteur d'admission Ford Grand II 1,0 EcoBoost M1DA CM5G-9424-EE FR291629. Colector de admisión Ford Focus III C-Max II 1,0 EcoBoost M1DA CM5G-9424-EE. intake manifold Ford Grand II 1,0 EcoBoost M1DA CM5G-9424-EE EN292147. Collecteur d'admission Ford Grand II 1,0 EcoBoost M1DA CM5G-9424-EE FR292147. Colector de admisión Ford Focus III C-Max II 1,0 EcoBoost M1DA CM5G-9424-EE. intake manifold Ford Grand III C-Max II 1,0 EcoBoost M1DA CM5G-9424-EE EN279104. Collecteur d'admission Ford Grand II 1,0 EcoBoost M1DA CM5G-9424-EE FR279104. Colector de admisión Ford III Grand C-Max II Van 1,0 Benzin M2DA 1047092S01. intake manifold Ford C-Max III Grand II Van 1,0 Benzin M2DA 1047092S01. Collecteur d'admission Ford C-Max II Van 1,0 Benzin M2DA 1047092S01. Colector de admisión Ford II Focus III 1,6 Ti PNDA AM5G-9424-P7A ES126236. intake manifold Ford Grand II Focus III 1,6 Ti PNDA AM5G-9424-P7A EN126236. Collecteur d'admission Ford Grand Focus III 1,6 Ti PNDA AM5G-9424-P7A FR126236. Baureihe ab 12/2010. Colector de admisión Ford Grand C-Max II Focus III 1,6 Ti PNDA. 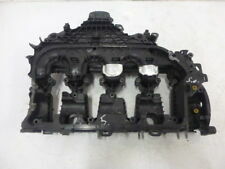 intake manifold Ford Grand C-Max II Focus III 1,6 Ti PNDA EN126114. Collecteur d'admission Ford Grand C-Max II Focus III 1,6 Ti PNDA. Typ Grand C-Max Focus C-Max II. Codice motore. Identificazione motore. Der Kaufpreis wird erstattet. Es wird als Bastlerersatzteil verkauft. Bei Beschädigung bzw. Öffnen der Ware erlischt jeglicher Anspruch auf Rückerstattung der Kosten. Si prega di leggere le avvertenze sul recesso riportate qui di seguito. Este artículo proviene de un vehículo siniestrado, por eso no se ha podido comprobar si funciona ni si contiene defectos ocultos. Vergleichen Sie die angegebene Fahrzeugdaten bzw. Sehr gerne helfen wir Ihnen auch bei der Zuordnung. So erreichen Sie uns am besten! Die Kosten einer Prüfung von entsiegelter und zurück gesandter Ware können den Kaufpreis übersteigen. Siempre nos esforzamos en solucionar a su plena satisfacción cualquier irregularidad o problema que pueda surgir. Informaciones sobre los costes de la expedición internacional. Véhicule Ford. Vehicle Ford. Baureihe ab 12/2010. Colector de admisión Ford Focus III 1,6 Ti PNDA 4M5G-9424-CF ES127733. intake manifold Ford Grand Focus III 1,6 Ti PNDA 4M5G-9424-CF EN127733. Collettore aspirazione Ford Grand 1,6 Ti PNDA 4M5G-9424-CF IT127733. Reifen und Felgen. Fahrzeugmodell: Ford Focus III Turnier DYB Vor-Facelift (2010-2014). Motor: 1.0 EcoBoost 92kW / M1DA. Ford Focus III Turnier DYB Vor-Facelift (2010-2014). 1.0 EcoBoost 92kW / M1DA. gebrauchte Autoteile. Colector de admisión Ford C-Max II Focus III 1,0 EcoBoost M1DA 10470942S01. intake manifold Ford C-Max II Focus III 1,0 EcoBoost M1DA 10470942S01. Collecteur d'admission Ford C-Max II Focus III 1,0 EcoBoost M1DA 10470942S01. Fahrzeugmodell: Ford Focus III Turnier DYB 2010-2018. 4M5G-9424-CF. Ford Focus III Turnier DYB 2010-2018. gebrauchte Autoteile. Fahrzeugklasse: Kombi 5 Türer. Faceliftmodell: Nein bis 2014. Prüfen Sierelevante Fahrzeugdaten mit der unteren Fahrzeugteile.online Verwendungsliste. Colector de admisión Ford C-Max II Focus III 1,0 EcoBoost M1DA 1047092S01. intake manifold Ford C-Max II Focus III 1,0 EcoBoost M1DA 1047092S01. Collecteur d'admission Ford C-Max II Focus III 1,0 EcoBoost M1DA 1047092S01. Siempre nos esforzamos en solucionar a su plena satisfacción cualquier irregularidad o problema que pueda surgir. Informaciones sobre los costes de la expedición internacional. Código de motor. Année de construction 2013. Baureihe ab 12.2010. Colector de admisión Ford C-Max II Focus III 1,6 Ti IQDA IQDB 4M5G-9424-CF. intake manifold Ford C-Max II Focus III 1,6 Ti IQDA IQDB 4M5G-9424-CF. Collettore aspirazione Ford C-Max II Focus III 1,6 Ti IQDA IQDB 4M5G-9424-CF. Colector de admisión Ford Focus III C-Max II 1,0 EcoBoost M1DA 1047092S01. intake manifold Ford Grand III C-Max II 1,0 EcoBoost M1DA 1047092S01 EN267231. Collecteur d'admission Ford Grand II 1,0 EcoBoost M1DA 1047092S01 FR267231. Colector de admisión Ford II Focus III Grand C-Max 1,0 Benzin M2DA 1047092S01. Collecteur d'admission Ford C-Max III Grand 1,0 Benzin M2DA 1047092S01 FR292443. Collettore aspirazione Ford C-Max III Grand 1,0 Benzin M2DA 1047092S01 IT292443. Intake manifold Ford Grand III C-Max II 1,0 EcoBoost M1DA M2DA CM5G-9424-FA. Collecteur d'admission Ford Grand C-Max II 1,0 EcoBoost M1DA M2DA CM5G-9424-FA. Collettore aspirazione Ford Grand C-Max II 1,0 EcoBoost M1DA M2DA CM5G-9424-FA. Mileage in miles. Recordar vendedor. Sofort kaufen. Year of construction 2016. Engine Code. Dimanche fermé! Condition Gebraucht. Année de construction 2016. Colector de admisión Ford C-Max II Focus III 1,0 EcoBoost M1DA 1047092501. intake manifold Ford C-Max II Focus III 1,0 EcoBoost M1DA 1047092501. Collecteur d'admission Ford C-Max II Focus III 1,0 EcoBoost M1DA 1047092501. Colector de admisión Ford Focus III C-Max II 1,0 EcoBoost M1DA 1047092S01. intake manifold Ford Grand II 1,0 EcoBoost M1DA 1047092S01 EN292453. Collecteur d'admission Ford Grand II 1,0 EcoBoost M1DA 1047092S01 FR292453. Typ C-Max II Grand C-Max Focus III. Veuillez lire la déclaration de rétractation ci-dessous. Bei Beschädigung bzw. Öffnen der Ware erlischt jeglicher Anspruch auf Rückerstattung der Kosten. Ciò servirà ad accelerare la resa e a evitare inutili tempi di attesa dovuti alla mancanza di informazioni. Se non troverete, nell'elenco di veicoli visualizzato, il veicolo da voi cercato, ciò è dovuto al fatto che l'elenco non comprende tutti i veicoli. Auf'm Rottland 10. Este artículo proviene de un vehículo siniestrado, por eso no se ha podido comprobar si funciona ni si contiene defectos ocultos. Typ C-Max II Grand C-Max Focus III. Bei Beschädigung bzw. Öffnen der Ware erlischt jeglicher Anspruch auf Rückerstattung der Kosten. Veuillez lire la déclaration de rétractation ci-dessous. Ciò servirà ad accelerare la resa e a evitare inutili tempi di attesa dovuti alla mancanza di informazioni. Colector de admisión Ford Focus III C-Max II 1,0 EcoBoost M1DA CM5G-9424-FA. intake manifold Ford Grand III C-Max II 1,0 EcoBoost M1DA CM5G-9424-FA EN267065. Collecteur d'admission Ford Grand II 1,0 EcoBoost M1DA CM5G-9424-FA FR267065. FORD FOCUS III Turnier 1.6 EcoBoost Kombi 07.10 134 182 1596 8566-AWP. Geprüfte Qualität. FORD C-MAX II (DXA/CB7, DXA/CEU) 1.6 EcoBoost Großraumlimousine 12.10 134 182 1596 8566-AUP. FORD FOCUS III 1.6 EcoBoost Schrägheck 07.10 134 182 1596 8566-AWE. Colector de admisión Ford Focus III C-Max II 1,0 EcoBoost M1DA CM5G-9424-F. intake manifold Ford Grand III C-Max II 1,0 EcoBoost M1DA CM5G-9424-F EN272090. Collecteur d'admission Ford Grand II 1,0 EcoBoost M1DA CM5G-9424-F FR272090. Baureihe ab 02/2012. Colector de admisión Ford Focus III C-Max II 1,0 EcoBoost M1DA 1047092501. intake manifold Ford Grand C-Max Focus III II 1,0 EcoBoost M1DA 1047092501. Collecteur d'admission Ford Grand III C-Max II 1,0 EcoBoost M1DA 303814. Se non troverete, nell'elenco di veicoli visualizzato, il veicolo da voi cercato, ciò è dovuto al fatto che l'elenco non comprende tutti i veicoli. Si prega di leggere le avvertenze sul recesso riportate qui di seguito. Baureihe ab 02/2012. intake manifold Ford Grand C-Max Focus III C-Max II 1,0 EcoBoost M1DA 1047092501. Colector de admisión Ford Focus III C-Max II 1,0 EcoBoost M1DA 1047092501. Collecteur d'admission Ford Grand III C-Max II 1,0 EcoBoost M1DA 168653. Fahrzeugmodell: Ford Focus III Turnier DYB 2010-2018. CM5G-9424-EE. gebrauchte Autoteile. Fahrzeugklasse: Kombi 5 Türer. Motor: 1.0l EcoBoost 74 kW. Ford Focus III Turnier DYB 2010-2018. Faceliftmodell: Nein bis 2014. Reifen und Felgen. CM5G-9424-FA. Fahrzeugklasse: Van 5 Türer. gebrauchte Autoteile. Fahrzeugmodell: Ford B-Max JK 2012-2017. Faceliftmodell: Nein. Sind auch Sie auf der Suche nach einem guten gebrauchten Fahrzeugersatzteil für Ihr Auto?. Baureihe ab 12/2010. Colector de admisión Ford Focus III 1,6 Ti PNDA 4M5G-9424-CF ES152787. intake manifold Ford Grand Focus III 1,6 Ti PNDA 4M5G-9424-CF EN152787. Collettore aspirazione Ford Grand 1,6 Ti PNDA 4M5G-9424-CF IT152787.